We combine the ambrosial flavor of rum-soaked raisins, apricots and almonds with butter and cinnamon sugar for a heavenly texture. 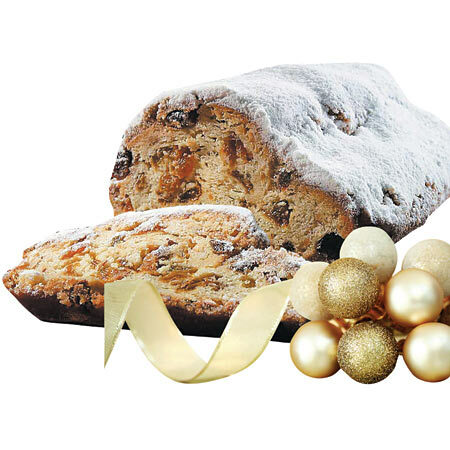 Mother's Stollen keeps well for up to four weeks and freezes beautifully for up to four months. Available October to January while supplies last.